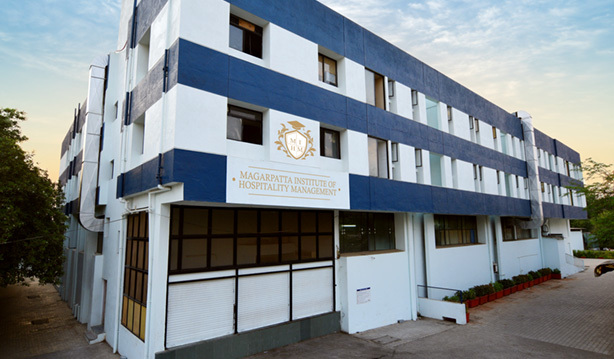 Magarpatta Institute of Hospitality Management is an educational wing of Magarpatta clubs & resorts pvt. ltd. established in 2003. Established more than 14 years ago Magarpatta Clubs & Resorts is one of the most diversified brands in hospitality operating in vertical of Hotels / Restaurants / Corporate Catering. Mr. Yogesh Magar’s profound insights got him attracted to the grace of Hospitality Sector and he decided to take a step further by ameliorating to Switzerland for pursuing his post-graduation and exposing himself to the fine culinary and different arrangements of hospitality around the world, after which he returned to India to head and strengthen his family business which was being floated by his highly reputed elder brother Mr. Satish Magar. Mr. Yogesh Magar has been responsible for operational leadership of the company since inception with Entrepreneurial Leadership. He is all set to build an ethical, transparent, scalable and successful hospitality enterprise. We strive to pioneer in hospitality and tourism education. We are offering enriching and industry-relevant programs for aspiring professionals in the exciting hospitality industry. To be the preferred Hospitality educational institution for hotel and tourism studies. To offer a host of opportunities to nurture talent for rewarding careers in the hotel and tourism industry. We are a caring organization with a supportive environment that encourages feedback, sharing, acceptance of diversity and an enterprising mind set. We believe in teamwork and that everyone counts in the success of the organization.